Optional – Enter TEXT to be printed at the backside of the tag. 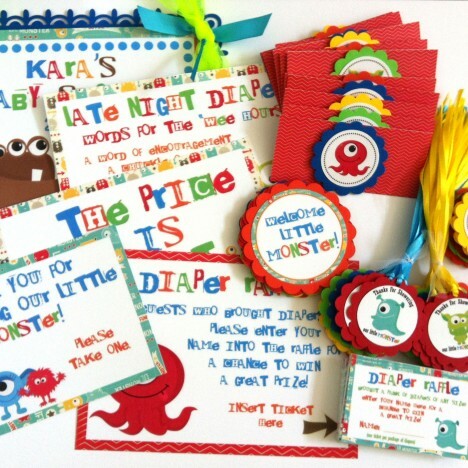 Cute Monster Favor Tags that are absolutely perfect for your baby shower party! Let’s welcome that cute little monster of yours with an unforgettable party celebration. 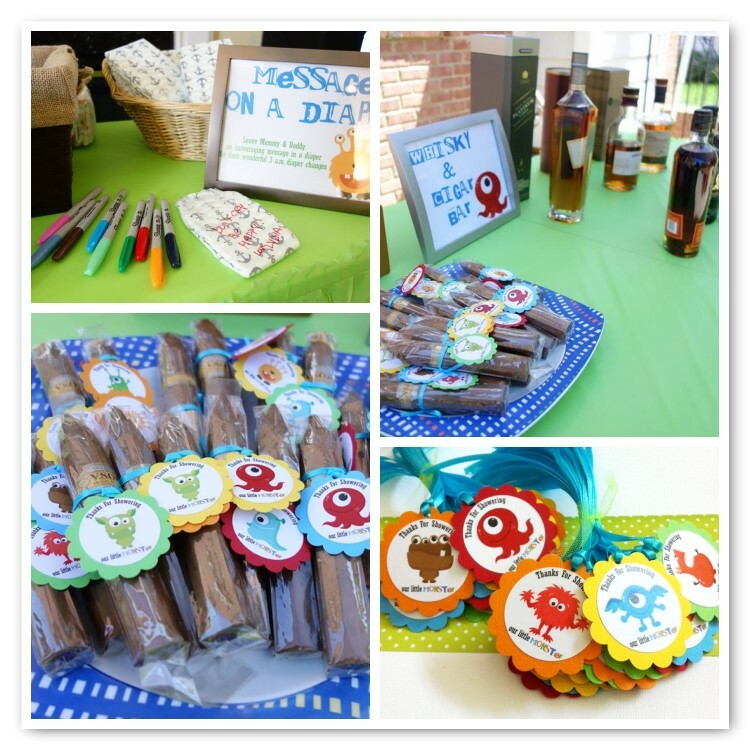 Get your party supplies here. We even can personalize them for you. This is a listing for a set of 12 (twelve) Thanks for Showering Our Little Monster Favor Tags. The design is whimsical. They make an eye-popping presentation, adorn your favors beautifully. 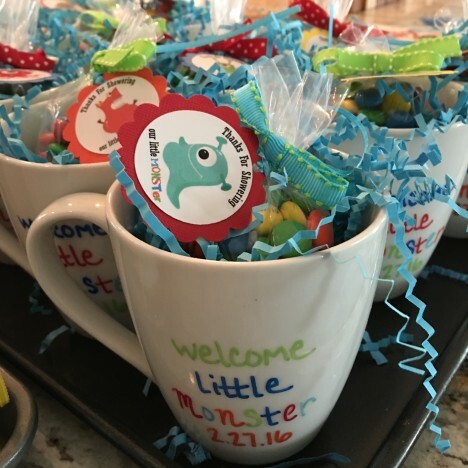 What a fun and playful way to say thank you to your guests who come to your Monster party. 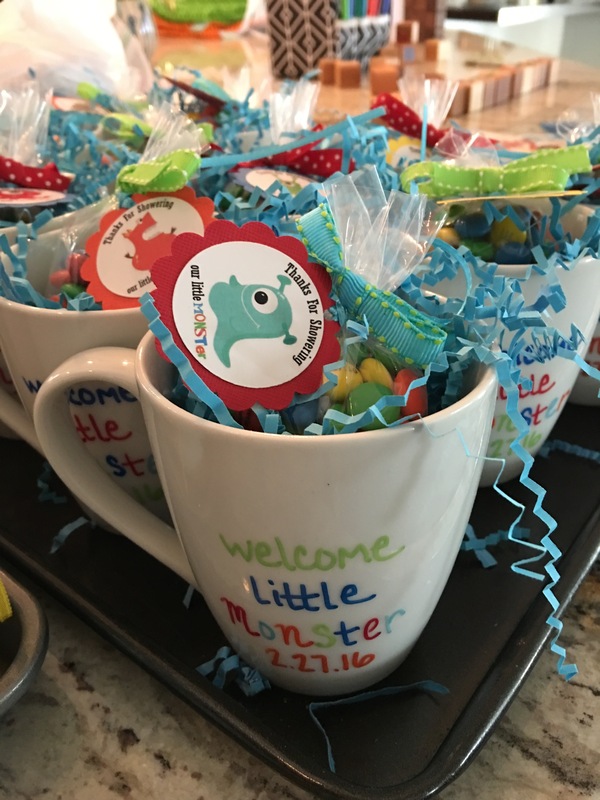 Each tag has a cute image of a monster, with a phrase “Thanks for Showering Our Little Monster”. Many delightful cute Monster images are included in this set. 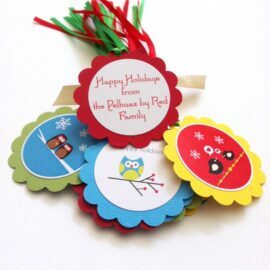 These tags come in many different bright and cheerful colors as well. Why stick to one color when you can have many? Of course, if you have specific color(s) scheme in mind, do let us know. We can do specific color as requested. 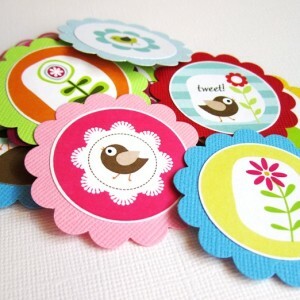 Each tag measures about 2″ in diameter, made in scallop round shape and pre-strung with ribbon. On billing details section, there is order notes field where you can let us know the additional details about your party. 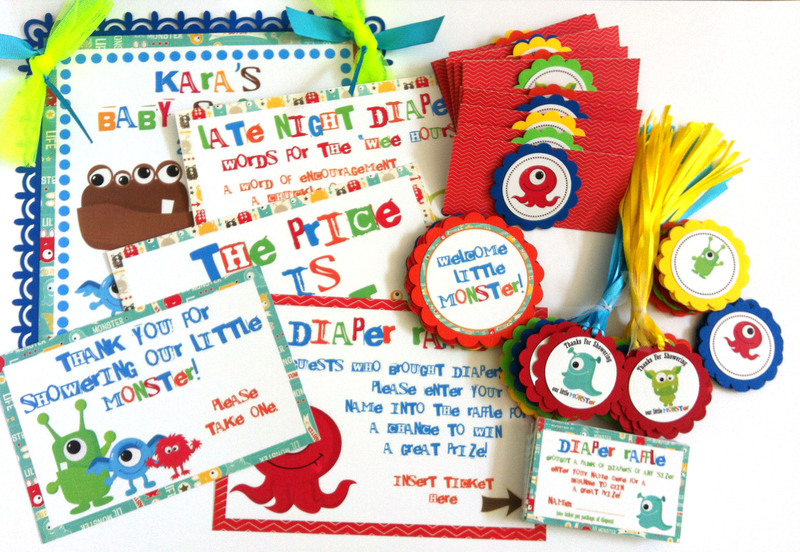 Are you looking for party decorations that compliment these Monster Favor Tags? More pictures of matching items can be found in this Monster themed Party Decorations album on my Facebook Page. We also do have another design of cute Monsters as well. If you have something in mind that you do not see it here, please contact us. We welcome custom orders.